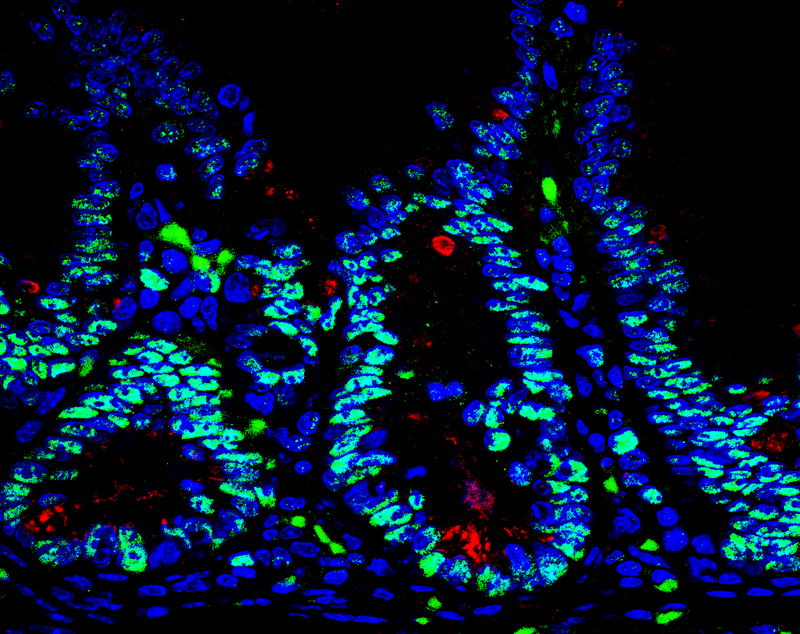 Research from the Sanford Burnham Prebys Medical Discovery Institute (SBP) identifies a promising new target for future drugs to treat inflammatory bowel disease (IBD). The study, published in Cell Reports, also indicates that another protein, protein kinase C (PKC) λ/ι, may serve as a biomarker of IBD severity. IBD, which includes Crohn’s disease and ulcerative colitis, affects 1.4 million people in the U.S. These chronic conditions are often debilitating, as they cause unpredictable abdominal pain and diarrhea. Because current medications only help control symptoms and not the underlying disease, 70% of Crohn’s patients and 30% of those with colitis must eventually undergo surgery. In addition, IBD increases risk of intestinal cancer by as much as 60%. To find a way to boost Paneth cell numbers and possibly treat IBD, the team looked for what drives the deficit in these protector cells. The key link was overactive EZH2, which turns off genes needed to generate Paneth cells. Importantly, the team verified the relevance of their findings in intestinal biopsy samples from 30 patients with Crohn’s disease. Disease progression correlated with lower levels of PKC λ/ι.